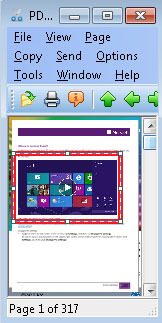 PDF Snipping Tool can be used as a pair of snippers to snip virtually any content out of your PDF document. This new release allows you to enlarge or shrink the size of your snips easily and quickly. With version 6.2, now you can open documents in Adobe PDF, Microsoft Word, Excel, PowerPoint, RTF, TXT, HTML format and get them translated. Click Translator is a tool that provides instant translation of your selected text in 53 major languages. All you have to do is to select text from anywhere on screen and with one keystroke you will get its translation in a balloon message. Instantly translate words on screen as you move your mouse cursor. You can perform translations between 53 languages such as English, French, German, Italian, Spanish, Portuguese, Dutch, Greek, Russian, Japanese, Korean, Simplified Chinese, and Traditional Chinese etc., with new languages being added all the time. Windows Mess Cleaner offers you an expanded selection of cleanup choices including Temp Setup Files, Downloaded Program Files, Temp Internet Files, Debug Dump Files, Office Setup Files, old Chkdsk files, Recycle Bin, Temp Remote Desktop Files, Setup Log Files, Temp Files, WebClient temp files, Catalog files for content Indexer. Download (708 KB) Learn More TRUE FREEWARE!